The Commons Building has become an important art hub for the communities in and around Middletown in Delaware County. Founded in 2007 as an artist-run cooperative, Longyear Gallery has hosted numerous solo and group shows in a 1,275-square-foot space located on the second floor. 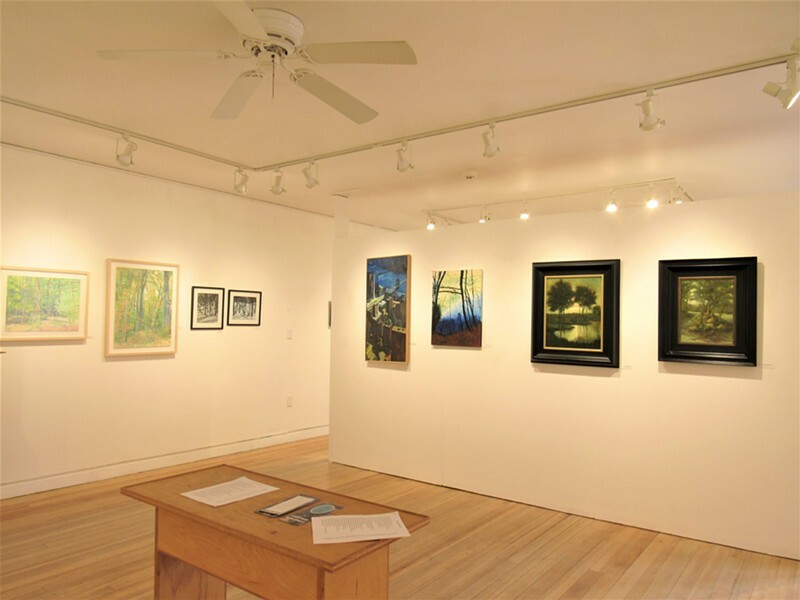 In the summer of 2016, the gallery took over a larger and better illuminated 1,425-square-foot space located on the first floor, divided into two separate rooms. Close to a 100 pieces by 80 artists were recently shown in a multimedia art exhibition titled “Artists Choose Artists,” which included works by landscape painters Ellen Wong and Kevin David Palfreyman, both influenced by the Hudson River School of Painting, poet and abstract painter Andrew Tully, ceramicist Peter Yamaoka, and photographers Frank Manzo and Helene Levine-Keating. The Spring Show hosted by the AMR Artists, which opens on April 19 and remains on view through May 13, will include works by 20 participants working in different disciplines: painting, monotypes, photography, tapestry, installation, and even jewelry. Urban realist painter and printmaker Lisbeth Firmin, an artist whose studio is in fact located in the Commons Building, will be showing new monotypes produced under the influence of Scuola Internationale di Grafica in Venice where Firmin was a resident in 2017. For over four decades Firmin’s work has been in hundreds of solo and group shows across the country and internationally, and finds itself in numerous private art collections. 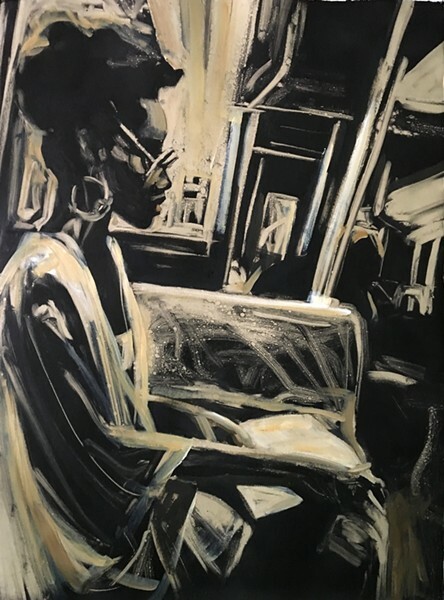 “My urban landscapes follow in the tradition of earlier realists such as John Sloan and Edward Hopper, depicting today’s modern life in the streets, while reflecting modern themes of isolation and disconnection,” she explains. Firmin, who was the cover artist for the 2008 spring issue of Epoch, Cornell University’s literary magazine, and was the featured artist in the 2008 summer issue of the Gettysburg Review, often shows her work throughout New York State and North Carolina, as well as at Rice Polak Gallery in Provincetown, Massachusetts. Hedi Kyle is a book conservator and educator, and co-founder of the Book Preservation Center at the New York Botanical Garden. She is also co-author of Library Materials Preservation Manual, one of the first books on library preservation techniques. 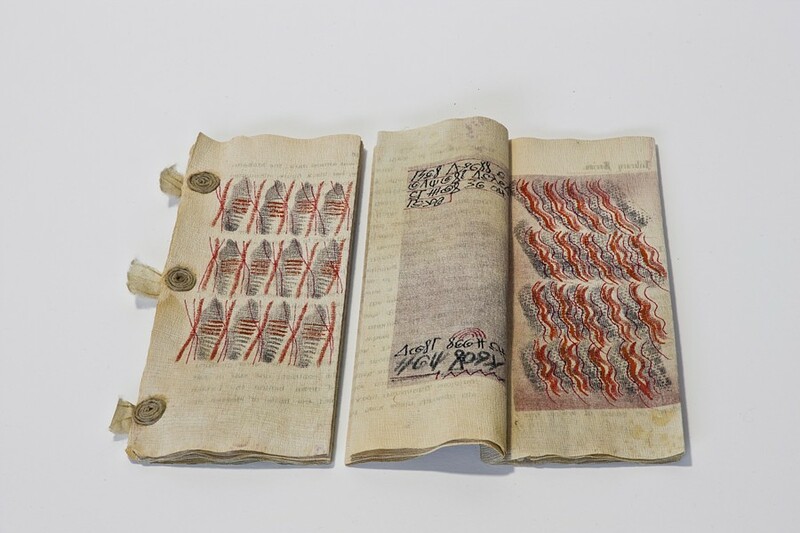 As head conservator at the American Philosophical Society in Philadelphia, and as an adjunct professor in the Graduate Program for Book Arts and Printmaking at the University of the Arts, Kyle had trained and mentored a generation of conservators and book artists. Since moving to the Catskill Mountains, she continued to experiment with materials and seek beauty in the form of book installations. “My work is usually based on paper which I transform by folding it into book structures and three-dimensional objects,” Kyle says. “Since my retirement as a book conservator and teacher my move to the Catskills has overwhelmed me with new impressions and motivated me to experiment with other materials such as clay and fabrics.” During the AMR Spring Show, Kyle will be showing a ceramic piece called Fragilo I, as part of a series that she is working on under the guidance of Michael Boyer at the Pine Hill Community Center. She continues to work on drawings and prints as well—these will be exhibited during the monthly member shows at Longyear Gallery. A new artist affiliated with the group, Charlene McLaughlin, has moved to the area full-time four years ago, after being a second homeowner for decades. McLaughlin is an accomplished still life and nature photographer and designer who has exhibited in numerous group shows and has done event photography. Her favorite subject matter are tulips, which she says are extremely evocative. She likes to capture them either in nature or in compositions recreated in the studio. McLaughlin bought her first camera, a Nikon EM, when she was 18-year-old, and never stopped photographing. She first learned to work on film, mastering the exposure and the demands of high-quality printing. Later on, she transitioned to digital, which she says offers instant gratification but can also lead to overshooting, conducive to spending more time to discern what is worth keeping. Although for the most part she is self-taught, McLaughlin did take classes at the International Center of Photography in New York City. Her favorite photographers are Ansel Adams and Henri Cartier-Bresson. Adams is known for his spectacular nature photographs, particularly taken at the Yosemite National Park, while Cartier-Bresson is known for pioneering street photography, and has been labeled a humanist photographer. In the AMR Spring Show, McLaughlin will be showing two landscape photographs: “Road to Windham” and “Spring Snow”, both 13” x 19”, taken with a Nikon D700 camera. An opening reception will be hosted on April 27 from 3 to 6pm. The Commons Building is located at 785 Main Street, Margaretville, NY.